The Big Brown Bat is a species of bat that lives throughout North and Central America, the Caribbean, and the tip of northern South America. It is approximately 110-130 mm in length and has a wingspan of 13 inches—considerably large for an American bat. Found in virtually any American habitat, it is commonly located in southern-lower Michigan. Big Brown Bats can live for more than 20 years. They are insectivores, which means they eat bugs of all kinds including cockroaches. Big Brown Bats are reddish brown in color and are often called a winged or flying mouse. Their fur is glossy in appearance, which is due to a waxy substance. Their mating season starts in fall but females do not give birth to the pups until May-June. They usually give birth to two pups per litter. 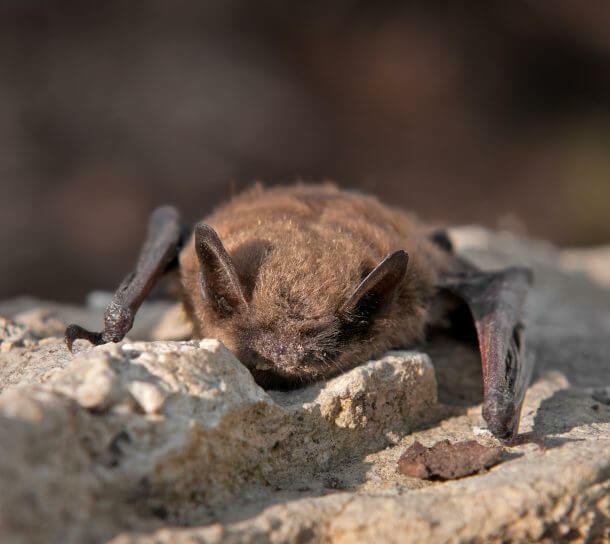 From May to September, female bats can be found in both urban and rural areas. Bats will roost in attics, belfries, barns, behind shutters, and in trees. 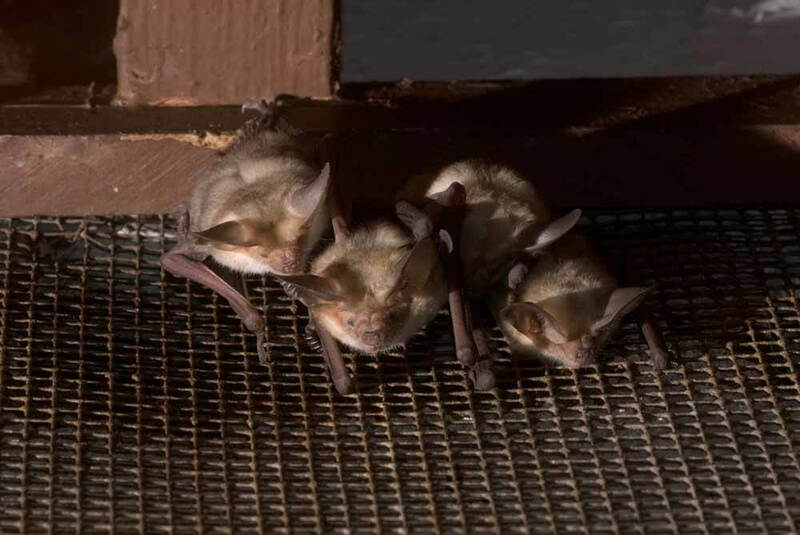 Big Brown Bats often overwinter on the inside of attics. They like to maintain an environmental temperature of around 100 degrees Fahrenheit. Big Brown Bats are nocturnal mammals but will occasionally fly during the day. Bats have 32 sharp teeth but cannot chew or gnaw their way inside; however, all it takes for a bat to enter into a structure is about a dime-size or ¼ inch hole. Bats can carry rabies and transmission to humans may be possible if any physical contact has been made. Clients should always take every precaution to avoid direct contact with bats and should contact a professional at the first available opportunity if they know or believe physical contact has been made. Bat droppings, or bat guano, may also be hazardous to humans through exposure to histoplasmosis. Health risk is based on the amount the amount and location of bat guano, and if any disturbance of bat guano has been made. Bat exclusion is the process of sealing, caulking, screening, and/or venting all potential bat entry points on the exterior of the structure to evict the bats and prevent future entry. 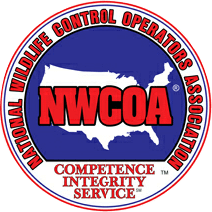 Removal is often done through the use of one-way exit devices that allow bats to leave the structure but not re-enter. Bat trapping is not a biologically sound method of eviction; one that we at Hogarth’s Pest Control and Wildlife do not use or promote.